Last week, I personally saw my Google Analytics user interface flip from the old user interface to the new one they announced was coming back in October. I then started getting emails and tweets, such as from @eva_ppc about other people seeing the new user interface. 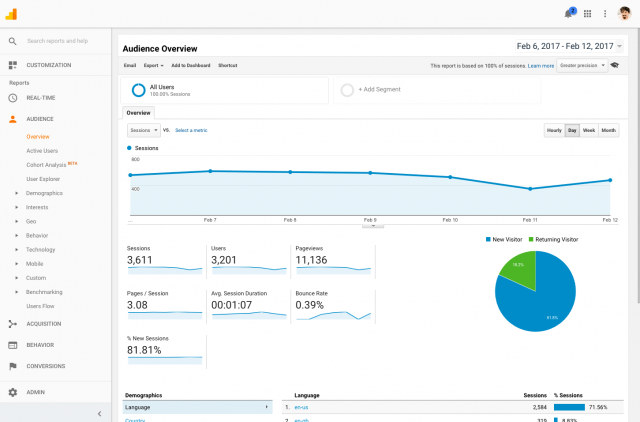 Google said back then "we've been working to build a simpler Google Analytics while still retaining the key functionality that people frequently use." Back then, they said these changes would roll out a few weeks later but it didn't roll out to everyone. Have you had the new interface for a while? Do you have it now?